Mobile, cloud, big data and social technologies have unleashed a sweeping tide of transformation that has given rise to a keen awareness of the importance of the customer experience and has presented CIOs with an unprecedented opportunity to make their mark by steering their companies toward digital business. Many have dabbled in ecommerce, digital marketing and social media initiatives, but 2016 will be the year that digital business strategies take root, according to Forrester Research. Forty-eight percent of companies have tested the digital waters by "bolting on" some kind of augmentation strategy over existing products or services, according to a Forrester study, yet the plays have been mostly tactical and not a disruption to the business model. In fact, just 26 percent of executives surveyed by Forrester reported that they feel their company fully understands the transformative potential of digital. That's not the case at forward-thinking companies, including many recipients of this year's CIO 100 Awards, our annual program that honors 100 organizations demonstrating excellence and achievement in IT. Many of the 2016 CIO 100 winners are pioneers on the digital frontier, using technology to reshape their relationships with customers and open doors to new revenue streams. "So much is changing in how revenue is generated through technology as it's moved from the back of the house to the front of the house," says Forrester analyst Nigel Fenwick. "There's a fundamental shift from an environment where all the value that the customer derives from a product or service is built into the physical product to a place where the digital components are inherently delivering more value." Whether it's Domino's Pizza letting people order from any device and through multiple mediums (including emojis on Twitter) or CVS Health retooling for an integrated online pharmacy experience, the initiatives are all about putting customers front and center. "Digital has brought significant changes to consumer perceptions, and that's transferring over to healthcare," says Kristin Darby, CIO at Cancer Treatment Centers of America, a CIO 100 award winner for a hospital expansion that revamps the patient experience through creative use of technology. "As we make investments in expanding our facilities and services, we want to make sure that our technology solution architecture is thought out from the beginning of construction to transform the way we provide care." Being able to respond quickly is what digital is all about, and for AT&T DirecTV, another 2016 CIO 100 honoree, improving response time required a total rethinking of internal operations and processes, including adoption of agile methodologies. "In order to respond that quickly to what's going on, you have to alter traditional processes and transform the organization's way of thinking," says Luz Gonzalez, DirecTV's senior vice president of program and software delivery. While CEOs push their visions for digital transformation, it's up to the CIO to champion a strategy that enables the business to pull it off. Being able to think strategically about the business, having a strong customer focus, and having the chops to influence people across the organization are all key to ensuring a CIO's digital business success. "Information technology needs to be an accelerator to the business, not a drag," says Stephen Gold, CIO and executive vice president of business and technology operations at CVS Health. "The CIO is no longer just a chief information officer -- you need to be a chief innovation officer and a chief integration officer as well." Given what's at stake and the technical complexities of digital business, CIOs also need to be translators who can help business people understand technology and, specifically, what can and can't be done. "This stuff isn't easy, and sometimes there's risk," says Kevin Vasconi, executive vice president and CIO at Domino's. "Most of the business doesn't understand the machinations of technology and how the gears turn. My biggest role is helping them understand the trade-offs -- that role is invaluable in terms of driving digital transformation." Few industries are as under the gun for digital transformation as the pay-TV sector. Heightened competition, the constant tick of consumer demand for the latest and greatest mobile and streaming capabilities, and the rapid-fire pace of technology change present huge challenges for companies that are unequipped to turn on a dime. For DirecTV, the fact that something had to give was readily apparent a year into an initiative to completely transform its digital entertainment experience with a responsive website, according to Gonzalez. The undertaking, whose goal was to eliminate the heavy maintenance and high costs associated with supporting multiple code bases for myriad mobile devices, was well underway when the team ran into problems, having to consistently redo functionality because of bugs or because it didn't quite map to the demands of the business. Given the velocity of change in the TV market, the group had taken an agile approach to the development effort but it soon realized a key ingredient was missing. "We weren't doing agile agile," says Gonzalez. "We were doing sprints, we were doing scrums, we were doing stories, but we weren't having our internal business customers with us along the way. We had to take a step back and think about things differently, including how to work differently." The changes they subsequently made to the website redesign project included embedding the various stakeholders -- the development organization, the quality team, the customer care unit and offshore development partners -- into the process to create a global agile delivery system, says Doug Wells, senior director of product development, noting that the company also set up a unit called the Agile Center of Excellence. The team also made sure there was a universal understanding of the roles and responsibilities connected to agile and scrum while ramping up its investment in agile training, Gonzalez says. The other key piece was embracing a DevOps approach, incorporating automation toolkits and techniques geared toward greater efficiency to create an ecosystem and culture of continuous improvement and continuous deployment, says Matt Smith, AT&T DirecTV's IT director for program management and the Agile Center of Excellence. "You can sit in scrum meetings and you don't know who's in IT or in the business," Smith says. "We've created one team out of a cross section of the entire organization to deliver on our value base." With the changes in place, DirecTV was better positioned to launch the responsive website and deliver ongoing improvements in a timely fashion. Key to the design is a single code base for all devices, support for open-source principles and tools like NGINX, Node.js and Play, along with a new decoupled architecture that allows improvements to be made via UI/UX changes and without impact on back-end processes, Smith says. Armed with an agile delivery ecosystem, DirecTV is now better situated to deliver web apps and new functionality in an iterative fashion, in two-to-three-week sprints as opposed to four-month cycles, Gonzalez says. The launch of the responsive website also increased reach and engagement with customers -- within the first month, customers lined up for 38,000 additional digital video streams, 49,000 recordings and 3,400 pay-per-view purchases. The hardest part of the project wasn't the technical work, but rather the cultural and organizational challenges of getting everyone to embrace transformational change. "After a couple of failures, people were kind of burnt out and pointing fingers, but once we got through that hump and we embedded a sense of ownership, we saw a spark in them," Gonzalez says. "We've increased revenue, improved speed to market, made quality improvements and are delivering more flexibility for customers." When the bulk of your customer base belongs to the millennial generation, what's the best way to make your pizza stand out in the crowd? Create an experience that lets digital-savvy consumers order from whichever device and whatever medium they like best. That's the strategy behind the $2.1 billion Domino's AnyWare ordering technology, part of the fast-food company's ongoing digital transformation. For some customers, voice ordering via text is the most satisfying while others queue up their orders with pizza emojis via Twitter. "We embrace the fact that the next generation of customers grew up as digital natives, and we want to be the easiest company in the world to have a relationship with," says Kevin Vasconi, executive vice president and CIO at Domino's. "We never want to lose an order because we don't have the right platform or the best experience or because the system doesn't perform." With the AnyWare system, customers can place orders on an array of devices not necessarily known for supporting ecommerce, including smartphones, smartwatches, smart TVs and, more recently, the Sync entertainment and communication system found in Ford vehicles, as well as Amazon's Echo wireless speaker and voice command platform. The ability to order with a tweet, text, voice command or emoji gives customers the flexibility and convenient digital experience they crave (there are currently 16 options for digital ordering) while at the same time promoting the Domino's brand in leading social forums. The first step in the journey was to create a user profile that stored critical identifying information like order history, including a customer's last or favorite order, preferred method of payment, a go-to Domino's location, communications preferences and contact information, including Twitter handles and mobile phone numbers. "Once we started to do that, the technology to support everything else started to galvanize," Vasconi says. The company made its first foray into digital ordering in 2013 with a system called Easy Order, which let customers save their favorite pizza orders in their profiles on Dominos.com. Then came the AnyWare technology, creating the foundation for customers to order via the newest devices. At first, in 2014, there was voice ordering with Dom, the Domino's version of a digital assistant voice command platform. Then the tweet-to-order system followed in May 2015. For the latter, software continuously monitors public tweets with exact keywords, checking them against the database for registered customers with that Twitter account. If a match is found, the system initiates a direct message to the user for confirmation and, once that happens, the ordering software shoots out a rough delivery estimate via direct message, employing analytics to calculate the number of orders underway at the selected location along with factors like distance to the user's location. In addition to the data warehouse, analytics and mobile and social technology pieces, another core building block is a 24/7 fault-tolerant infrastructure, which Domino's set out to build in parallel to the AnyWare ordering capability. The company went from one and a half data centers when it started to three data centers globally, investing in technologies like failover and the Akamai content delivery network to boost performance and help it stay ahead of the growth curve. "We didn't have to build everything on day one, but we need it all today," Vasconi says, explaining that more than half of the company's business now comes from digital orders, and half of those are from mobile platforms, representing an estimated $4 billion annually in global sales. While CIOs must play a key role helping corporate leaders navigate what's possible with technology, Vasconi says a project of this magnitude really needs to be a partnership -- in this case, between his office, the CMO and the CEO. "That kind of triad working together to deliver on this vision is what made it all possible," he says. "Not everything we did was a complete success, and we had to be able to fail fast and move on and make that part of our culture." For millions of travelers, the experience of moving through busy airports can be trying, especially if information is scarce. Having direct access to up-to-the minute flight information, knowing how long it will take get through security and mapping out the best route to make a connecting flight can make the experience a little less painful. The Metropolitan Washington Airports Authority (MWAA), which oversees Ronald Reagan Washington National Airport and Washington Dulles International Airport, delivered most of that information to its visitors for years, but it was scattered across nine different websites and platforms. Starting in 2015, the MWAA set out to change all of that with the creation of a system it called the Travel Information & Revenue Enhancement Platform (TIREP), which would serve as a central hub for all relevant information related to the airport travel experience. TIREP is designed to centralize all media content and data coming from multiple sources, including the Transportation Security Administration, baggage handling systems and the airlines, and make it available to travelers on a variety of personal devices and public display systems. "The information passengers were asking for was not built in one single application or owned by the airport -- it's an ecosystem of information that resides and is owned by multiple partners in the travel journey chain," says Goutam Kundu, CIO of the MWAA. "With TIREP, we set out to bring out data in an API format so it could easily be consumed in whatever device the passenger wants." The TIREP digital platform is enabled by three core technology pillars: A data management and open API foundation, a responsive website that's device-agnostic, and a beefed-up connectivity infrastructure that combines Wi-Fi and LTE, among other technologies, to ensure robust network coverage across the 6 million square feet of combined airport real estate. The latter component is key. As Kundu points out, "You might have the best apps, but without good network connectivity to the internet, they are meaningless." As opposed to tackling the problem in a piecemeal approach, the MWAA saw an opportunity to build a digital platform in concert with an information-centric design and a standardized set of processes that could be leveraged to power TIREP and any subsequent enhancements and future systems. For example, a digital signage pilot has the TIREP data structure and taxonomy in place, which allows for more adaptability. Moreover, consistency of customer experience has improved because all of the information pushed out to digital channels now shares a single data foundation. To make that possible, TIREP calls for data to be federated and shared through a standardized content and media library that can publish to different channels with minimal effort. Stakeholders collaborated to identify data sources, establish a structured format and develop a taxonomy and metadata, Kundu says. As part of the design, the platform supports reusable centralized privacy, security, personalization, data extraction and cleansing, and content management services, which ensures that the MWAA can respond quickly with future apps and capabilities as travel requirements evolve. "Having standard data processes ensures that it takes less time to extract and bring data in, the time to release new apps through the platform is shorter, and we're staying consistent across channels," he says. "Enabling a better user experience is the primary goal here, but we also want to do things quicker." Today, travelers can preplan their trips by, among other things, tapping into a tool that helps them map out a route to the next gate or the closest Starbucks. The open API and platform approach gives third-party aggregators and airport partners access to TIREP, empowering them to introduce their own services -- perhaps the ability to order a latte so it's ready as soon as the user gets through security, or a system that delivers personalized coupons that travelers can use in airport retail shops, Kundu says. It also gives the MWAA potential new revenue streams, he adds. "We're delivering a 360-degree passenger experience no matter where the data resides or who owns the data," Kundu says. "At the end of the day, we want to make sure passengers have a seamless experience during their travel through our airports." For CVS Health, digital transformation includes retooling the company to take an enterprise view while creating a technology foundation to drive future services. CVS's Enterprise Patient Hub, a winner in last year's CIO 100 awards program, is at the heart of the $153.3 billion retailer and pharmacy services provider's latest endeavor: A digital pharmacy that gives customers a seamless experience within each of the company's three very distinct lines of business. Through the main CVS.com site, patients can use their preferred devices to manage their prescriptions across the company's retail, mail order and specialty pharmacy businesses from any location at any time. "As part of the consumerization of healthcare, and to differentiate ourselves in the market, it was important to provide tools and capabilities so consumers not only take care of themselves and progress on a path to better health, but are able to do so in a cost-effective and efficient fashion," says CVS Health CIO Stephen Gold. "We had a unique opportunity to pull all of those assets together in a unified fashion for customers so they could administer their entire benefits and take care of themselves through a single source." In addition to providing a full prescription history and the ability to order refills in all channels, the new experience delivers a combined order status, streamlines the transfer of prescriptions from one channel to another and lets people enroll in automatic refill plans. Prior to the release of the system in May 2015, customers had to visit multiple websites or switch from one app to another in order to manage their prescriptions. The CVS Enterprise Patient Hub, a web services platform and master data management system, reconciles the unique customer identifiers for each of those lines of business so the retail pharmacy system understands that the Jane Smith filling prescriptions at a particular physical location is the same Jane Smith getting other medications through the CVS Caremark mail-order business. New messaging and tokenization techniques have also been added to maintain continuity across systems and to allow a single code base to support myriad devices and provide a consolidated user experience. Meanwhile, behind the scenes, these technologies are interacting with best-of-breed legacy systems built for the individual lines of business, Gold says. "We didn't want the hub to sit inside of any application," he says. "It's all part of a modernization strategy and deliberate architecture decisions for how we continue to go down the path of thinking enterprise. We are taking systems originally built in the best possible way for lines of business and making them dual-purpose." Rather than attempting a rip-and-replace digital transformation, Gold says a more measured approach, which includes crafting a very deliberate services-based enterprise architecture, is key to building a future-proof platform that can evolve to meet customers' needs. Since piloting the integrated pharmacy experience, CVS Health has started to see increased usage and adoption of its digital offerings. For example, one-third of the company's pharmacy customers use one or more digital tools, more than half of digital prescription refills come from mobile channels, and there are now 20 million text enrollments for pharmacy pickups and refills. Once the system is fully implemented, Gold expects that, on a typical day more than 40,000 patients (or 15 million annually) will visit the integrated site and refill nearly 90,000 prescriptions (or almost 33 million annually) through digital channels. The improvement in the refill conversion rate is expected to deliver an ROI of as much as a 165 percent on an annualized basis, he says. Beyond its simplicity of experience, the integrated pharmacy is also instrumental in helping CVS Health deliver on its core mission of helping people manage their health. "We're helping to drive greater medication adherence, which is one of the most effective ways to fight chronic disease," Gold says. "It's rewarding when your IT-enabled innovations deliver both business success and healthier outcomes." When your business is treating cancer patients, no detail is too small -- from the quality of the food to the comfort of the bedding to the technology you use to improve the patient experience. Those were the marching orders when Cancer Treatment Centers of America (CTCA) began planning an expansion of its Midwestern Regional Medical Center, also known as CTCA at Midwestern, which is part of a national network of five specialized cancer hospitals. The new, six-story in-patient facility, which opened in November 2015, includes 72 private rooms and 48 guest quarters set to open shortly. Beyond such comforts as a large demonstration kitchen and expanded dining and salon services, the unit features cutting-edge IT systems designed to enhance the patient experience with personalized care and, most importantly, help create an environment of healing and hope. That patient-first perspective comes from CTCA's Cancer Fighters, a community of former and current CTCA patients and caregivers who provide the organization with extensive feedback. "Our core culture is always about putting the patient first," says Kristin Darby, CTCA's CIO. "Before we make any type of investment in technology or equipment, even artwork for the building, we want to understand what will create the most appealing atmosphere to help patients feel at peace." Based on input from the Cancer Fighters, Darby's group looked for ways to use technology to improve communication between patients and clinicians and to enrich the patient experience. One of the team's most important moves was the decision to deploy Lincor, a patient engagement system that supports a wide variety of functions. Among other things, it provides internet access and serves up videos for educational, entertainment or relaxation purposes, with offerings based on a patient's demographics and treatment plans. It also interfaces with a retail pharmacy for easy prescription refills and offers push notification functionality and an e-concierge feature to foster better patient-provider communication. Darby says Lincor is easy to customize and offers a consumer-oriented, app-store-like look and feel that allows CTCA to create a highly personalized patient experience and evolve it over time. Another key component of the new building's IT infrastructure is Imprivata's Cortext, a platform that supports secure, HIPAA-compliant texting among members of the clinical team. "It facilitates rapid communication about patients so clinicians can get to them quicker when there is a need," Darby says. A third critical platform is a call light system with an integrated workflow component that facilitates interdisciplinary and interdepartmental communication among medical staffers without disturbing patients. "We custom-designed the system to the way we work and how we're organized," Darby explains. Previously, she adds, "the care teams carried telephones and made hundreds of calls on their shifts to report that a patient was ready for treatment or that a lab was ready. With the call light system and workflow, it's a smoother, much more streamlined process for the patient." Since the new facility opened, CTCA's patient satisfaction scores have risen and there has been plenty of feedback indicating that the technology-centered improvements should be a model for the other network hospitals. "As all of our facilities consider expansion or different growth opportunities," Darby says, "CTCA at Midwestern will serve as a reflection of a future-focused hospital." 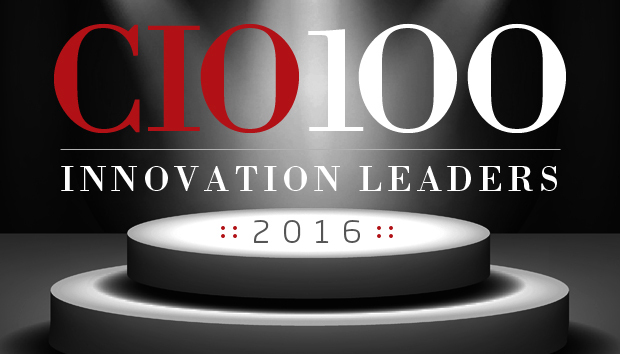 Here are the judges who helped CIO.com choose the CIO 100 honorees for 2016. Adam Hartung, CEO, Soparfilm Energy Corp.
Bart Perkins, managing partner, Leverage Partners Inc.
Tom Pettibone, partner, Transition Partners Co.